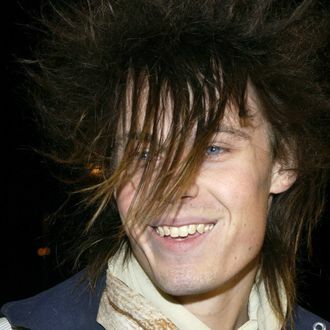 Looking, and acting, like a lankier version of Aerosmith’s Steven Tyler, Jesse Camp was one of MTV’s most recognizable personalities in the late ‘90s, having won the network’s first Wanna Be a VJ contest against Dave Holmes. Now, police in Riverside, California, are looking into Camp’s disappearance, after his sister Marisha Camp reported him missing on July 19. Officer Ryan Railsback confirmed to People that, while Camp’s sister indicated the former VJ may have been depressed recently, there is currently no evidence there is “anything suspicious” about their inability to locate him. According to Page Six, Camp — who experienced homelessness in the past — had also reportedly been in touch with his mother, who last heard from him on July 11 or 12. He had also recently been in communication with an ex-girlfriend, who called Camp’s cell phone. A stranger reportedly answered and said Camp had given him the phone, along with other belongings.